Inflammation is the body’s normal response to either an infection or an injury. Unfortunately, it is also a painful response. Inflammation is marked by pain, swelling, redness, and heat coming from the infected or injured area. This response is natural and part of the body’s self-defense mechanisms. The purpose of inflammation is to protect the tissue from viral or bacterial attack, and to remove injured or damaged cells. So, if inflammation serves such an important purpose, why would we want to interfere with it? Inflammation is painful. This pain can cause inflammation to become chronic, leaving the patient trapped in a painful cycle. Some types of inflammation are very dangerous, and must be lowered to save a person’s life, such as swelling around the brain or in the blood vessels. Inflammation inside the nose can cause congestion, making breathing unnecessarily uncomfortable. Inflammation can make a UTI worse and more difficult to clear, allowing the bacteria to move further into the body and into the kidneys. Inflammation can also be a diagnostic tool for when there are no diagnostic tests available. A red line running up one’s arm is an indicator of lymphangitis. An inflamed throat may indicate a strep infection. In this episode, we will discuss a number of herbs which can help reduce inflammation while also helping the body to heal from whatever injury or infection triggered the inflammation in the first place. 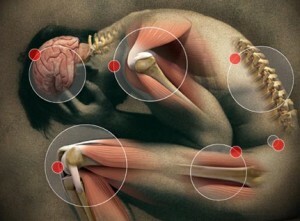 We will talk about chronic inflammation such as found in arthritis, joint pain, and Lyme. 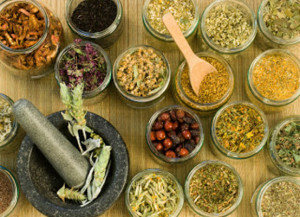 Herbs like cayenne, nettle, turmeric, ginger, dandelion, cleavers, plaintain, comfrey, chinese skullcap, goldenrod, arnica, yerba mansa, berberine, juniper, marshmallow, ginger, oats, peppermint, meadowsweet, mullein, and white willow bark and how to use them will be covered. 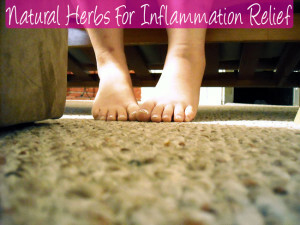 Each of the herbs listed above has a way it relieves inflammation. Some help to move fluids. Others, help to relax muscles. Some help by interrupting the pain cycle. Others treat infections directly. Listen to this episode to learn how you can use herbs to help mitigate inflammation, and also, how to craft and administer anti-inflammatory herbs effectively. For this broadcast on Treating Inflammation Naturally and live chat go to Listen & Chat tonight 7:00pm/Est. 4:00pm/Pt. Player will be added to this post after live broadcast! Previous: Previous post: Technology recapped! Next: Next post: DJ Cooper Surviving Dystopia!